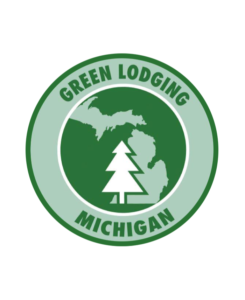 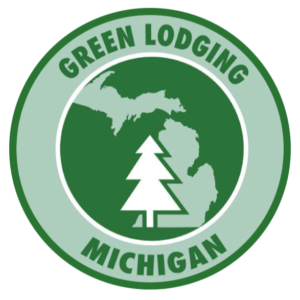 White Birch Lodge offers Michigan’s most extensive water sports program! 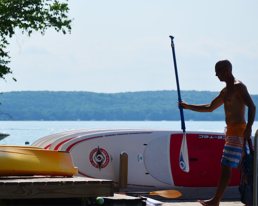 From the thrill of water skiing, wakeboarding, and tubing behind our power boats to the quiet exhilaration of kayaking, sailing, or stand-up paddling, you’ll have to experience our program for yourself to see how much fun we have on the water! 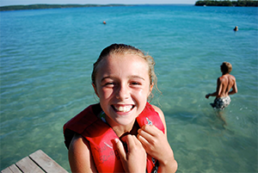 Our enthusiastic waterfront staff will be in the water with you every step of the way with all the assistance and instruction you need to go from beginner to advanced! 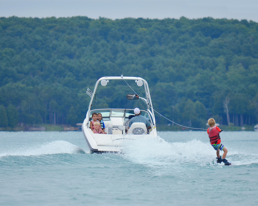 Our top-of-the-line Mastercraft ski and wakeboard boats are operated by safe, well-trained drivers. 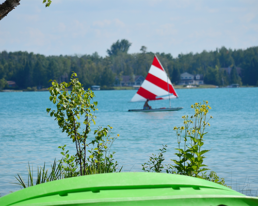 White Birch Lodge’s ideal location on beautiful Elk Lake along with the extraordinary level of service we provide ensure that your whole family will have an unforgettable time on the water! 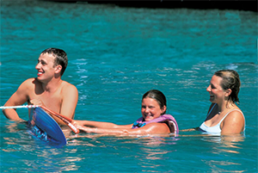 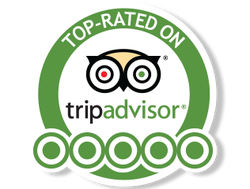 Learn more about rates for our all-inclusive vacation packages here. 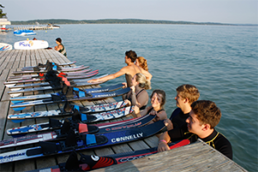 See Our Experienced Staffers Shred On The Water! 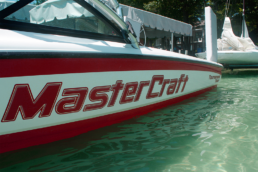 We pull waterskiers, tubers and wakeboarders exclusively with our state-of-the-art Mastercraft boats. 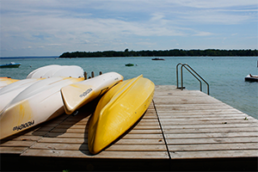 Stay tuned for the announcement of our boats for 2018!